Which camp are you currently in? Seeing a decrease in your website’s performance isn’t fun, but it can be even more difficult when you aren’t sure why it’s even happening. Maybe you’ve tried to tweak your website content or adjust your imagery, but nothing seems to work right now. You may feel like you’ve exhausted all of your options, but I’m here to share some mistakes you might be making that you don’t even realize. If I had a nickel for every time I saw one of these mistakes, well, let’s just say I’d be in a large penthouse suite in NYC overlooking the skyline… ah, that sounds nice. Okay, back to reality! If you are making any of these mistakes, don’t worry. 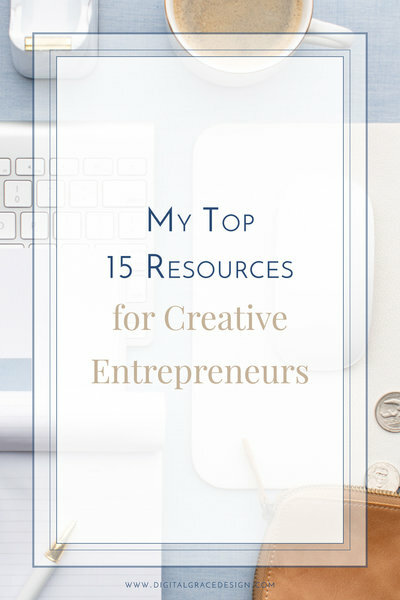 You are a small business owner, not a website strategist and designer. You aren’t expected to know everything about website marketing since it’s outside of your niche. While you may love other areas of your business much more than website marketing, it’s still a crucial marketing tool for your business and needs to be treated with care. I’ll go over each mistake by explaining why it’s important to solve and how to actually solve it. It’s no good for business owners to be in the dark about what is affecting their website traffic and conversions, so let’s dig into what might be affecting your website performance. Some of them may surprise you! Did you know that there are more people searching on mobile than on desktops these days? With the rise of smartphone use, having a mobile-friendly website is more important than ever before. Google also prioritizes mobile-friendly websites in their search results, so we want to make Google happy! If you want to check to see if your website is mobile-friendly, you can put your URL into this tool and get your answer. It’s also good to note that if your website is mobile-friendly, it doesn’t necessarily mean it’s giving the best user experience. Your design may fit within the dimensions that are recommended for digital devices, but how easy is it to read your text? Are your images cropped in an odd way? With Showit, you don’t have to worry about your website being translated in a weird way when you switch to a mobile device. Platforms like Squarespace don’t allow you to customize your mobile site, but Showit does! And you don’t even need code to do it (thankfully). 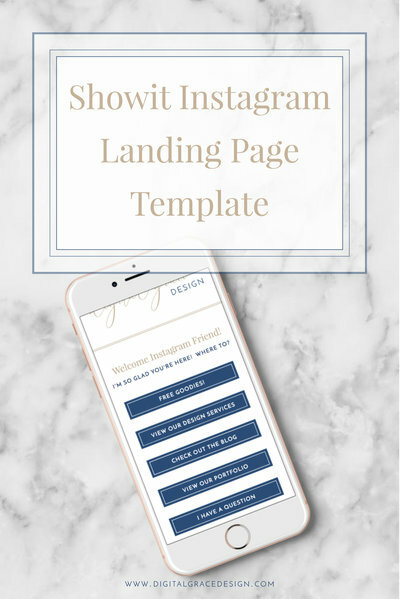 I design all of my client websites on Showit because of their easy-to-use mobile website building platform. There is a separate screen to design your desktop and mobile website within the platform so it’s simple to customize both. I highly recommend looking into Showit if you haven’t yet. You’ll be impressed with how much you can do with little to no coding necessary! Have you heard that term “branding” before? You may think about it in terms of your logo, but your visual brand encompasses more than just your logo. It speaks to the custom color palette, font pairings, patterns, and any other visual elements that uniquely make up your brand. This is done so that your target audience will be attracted to your imagery and know who you are at a quick glance. Consistency is important in visual branding because a cohesive design lets your target audience know what to expect. It builds trust with your visitors, which helps them see you as a reputable business and relate to you on a deeper level. That’s why it’s so important to enter the visual branding process with a clear idea of who your ideal client is! All of your visual branding will be designed around what they like, connect with, and gravitate toward while still fitting within your tastes. Starting from a place of intention and purpose will help you create a cohesive visual brand that is memorable. When you are in a saturated industry, this becomes more important than ever. So instead of using every color in the rainbow and a long list of your favorite fonts, we will work together to create visual branding guidelines that help you narrow down your brand and keep you in alignment for ultimate consistency. No one wants to read a huge wall of text, so thinking about the formatting of your content is just as important as what your content actually says. It’s best to use concise, clear copy that says a lot in a few words. This way, you’re able to make a connection with your target audience even as they skim through your website. On the flip side, you don’t want to have such a small amount of text that your visitor has no idea what you do, why you do it, or who you do it for. I’ve seen this a lot with photographers who have websites with only imagery. While it’s important to showcase your work (especially in those swoon-worthy online galleries), your imagery can’t always speak for itself. Your target audience is sure to have other questions that your images can’t answer for them, like what your package breakdown looks like, what investment they need to make, and what your availability is. Thoughtfully consider what your target audience is coming to your website for and you can easily create content around that. When we work together on your website, I’ll guide you through the process of collecting and creating content that will work with our templated or custom Showit website design. I’ll make the process easy and painless so gathering content doesn’t hold up our timeline. Remember the days of dial-up internet when you had to wait for everyone to be off of the phone before the internet could boot up? Even then, you had to wait a few minutes to surf the web and the loading times were so slow. Luckily we have high-speed internet today, but with the ultra-fast speeds, our attention spans have continued to shrink significantly. The amount of time we’re willing to wait for a website load has decreased over the last decade. Most people shoot for two second load times, but anything more than three may cause visitors to exit your website. You might be thinking that three seconds doesn’t seem like a long time to wait, but when you used to other websites loading at quick speeds, it makes three seconds feel like ages. Having a fast loading website will ensure that visitors stay on your website for longer, which decreases your bounce rate and increases your chance of converting them into a customer or client. Not sure if your website speed is lagging? You can put your URL into this Google speed testing tool and see how it performs. I do this with all of my clients to ensure our website runs at the highest speeds. Once you know what is slowing down your website, you can take action and try to solve the issue. Keep testing and optimizing your website so you can continue to get your load time down. Your visitors will thank you! We just talked about how large image files can slow down the load time of your website, but that doesn’t mean you want to upload small images instead. Many modern websites have large photo banners (which you can see in my portfolio) so your resolution needs to be high. If you have the wrong photo resolutions, your photography can look blurry or even pixelated. To make sure that doesn’t happen, I recommend compressing your image files so the file is smaller but the resolution is still crystal clear. Depending on your image file type, you can use an online compressor to make sure your images are beautiful, clear, but also optimized. This is especially important for photographers and other wedding professionals who use a large number of photographs on their website. 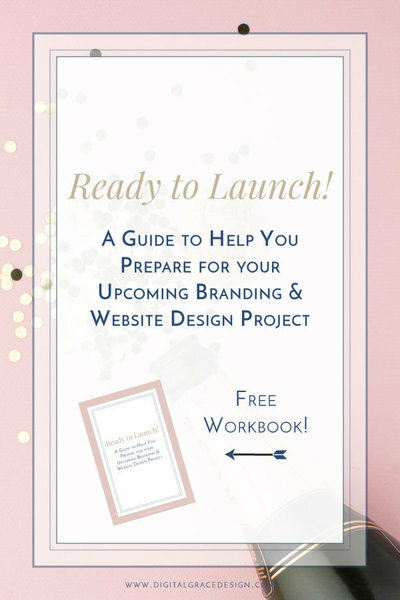 I’ll help you with this throughout the website design process! You may have heard of SEO (or search engine optimization) before, but most business owners aren’t quite sure what it means. It’s a pretty confusing industry, but there are some key things to know about how to optimize your website. SEO matters because most people go to a search engine, like Google, when they are researching a product or ready to book a service. Optimizing your website for this kind of targeted organic traffic (which means that it is free “advertising” you don’t pay for) is essential! It’s harder to optimize your website for search engines in saturated industries, but it CAN be done! Not only that, but it should be done. So how do you get started with SEO? There are probably a LOT of buzzwords there that seem a little confusing, but don’t worry! I’ll help you through them when we work together. We’ll make sure your website is search engine ready before we launch it into the world. What mistake was relevant to your business? Maybe there were multiple! Now that you’ve read through this blog post, you’ll have a better idea of how to put the solution to each mistake into action. If you have a question or need more information about how to solve a website optimization issue, feel free to reach out in the comment section below, and I’ll give you my answer!